St Francis Prayer is such a well known and inspirational prayer, a verse that is has inspired many people to create art and music! 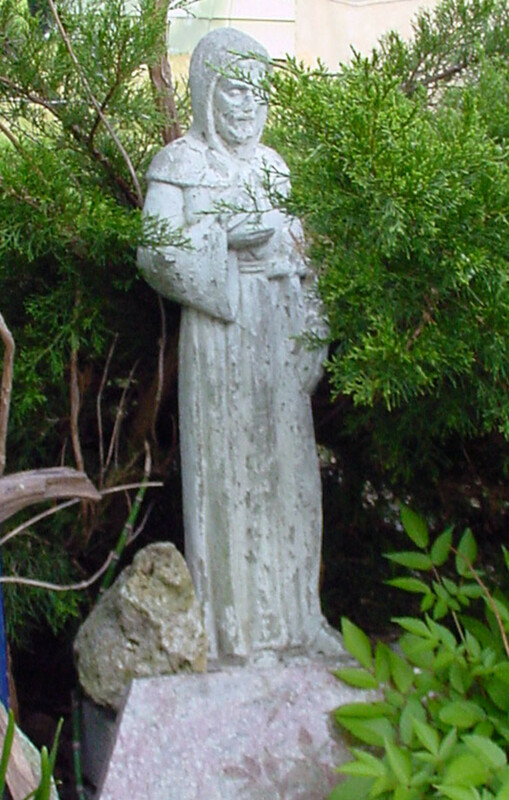 The Prayer of St Francis has also inspired many composers. I wrote a song for St Francis too. Last year it inspired me to set it to music and I have since recorded St Francis Prayer. If you read on, I will tell you how I came to write the song. St Francis Prayer is my most popular song and this page is about St Francis. Next to the Lord's Prayer St Francis Prayer is probably the best known of prayers. This is about St Francis Prayer and how it came to be a song for me. I also hope to share some beautiful imagery with you, along with some gentle music I have for you. At this time, St Francis Prayer has even more significance for me. My father, who was a great fan of St Francis, passed away suddenly this February. He loved this song from my album and we played it for him as his funeral service ended. He was steadfast in his faith and a true Christian in the tradition of St Francis, kind to all animals, gentle with all people and well aware of how God surrounds us in nature. Whenever I hear this song, or the Gaelic blessing which he also loved, I will count my blessings to have had the most wonderful of fathers. Who was St Francis anyway? 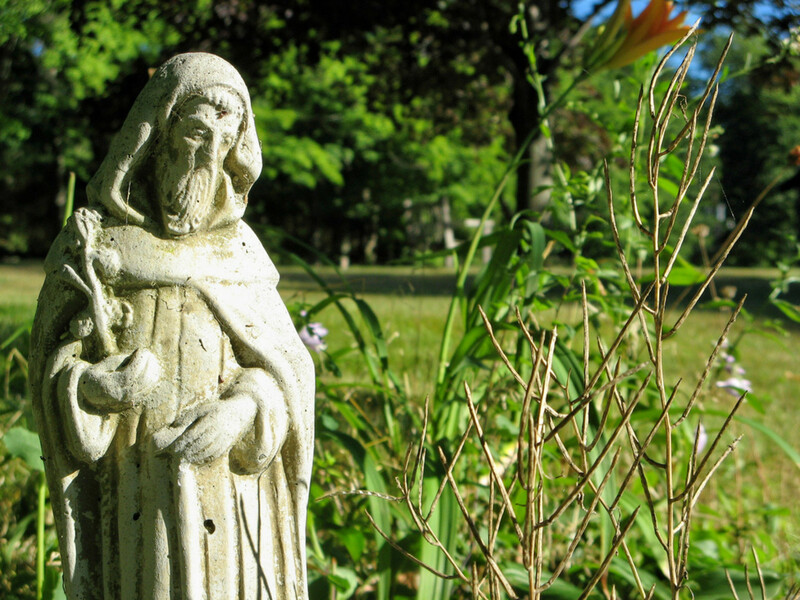 Why is Saint Francis relevant today? 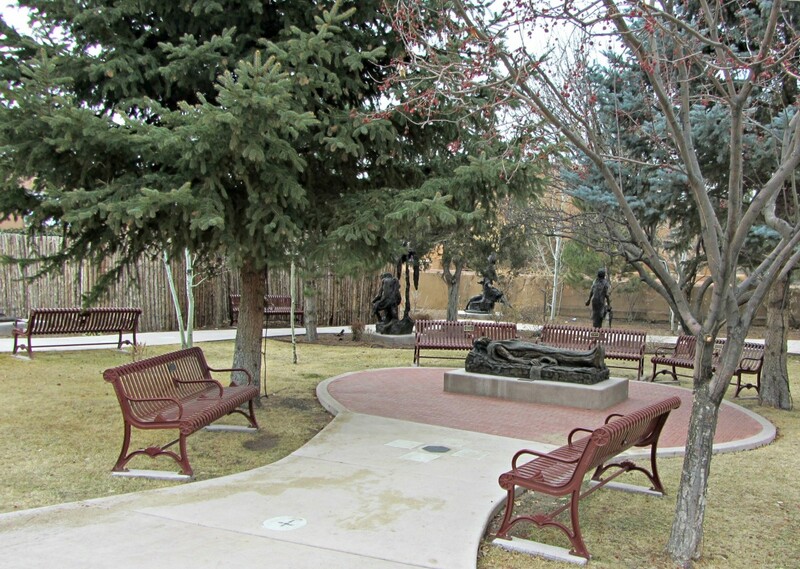 There cannot be many who have not heard the inpirational story of Francis of Assisi. If you have heard of the Franciscan Order of monks and their vow of poverty you will also have realized a connection here. St Francis, in common with the Buddha in fact, was born to a wealthy family but he eschewed all this for his faith in God and the spiritual life. He had extraordinary respect for life and love of nature referring to God's creations as his brothers and sisters. To me, this was the main reason I developed a childhood admiration for St Francis that has persisted throughout my adult life. Once when campaigning politically for Westminster I was interviewed by a reporter about my beliefs. She asked me to describe my faith and I said it was close to St Francis. In our world we desperately need to defend nature. We need to save the plants in the jungles that we have been given for medicine, we need to prevent extinction of further species due to human greed. We need to get our very existence into perspective and learn to live in harmony with Creation rather than selfishly exploit it. All these were things understood by St Francis with his love of animals and assumption of poverty as a rich way of life. He had discovered an abundance that was both material and spiritual but not conditional on possessions. Filmed on location in Assisi and other actual locations where St. Francis lived and died, this feature film vividly tells the story of this greatly beloved saint from childhood through his death. Beautifully filmed with outstanding cinematography and fine acting talent, this film stars Italian actor Raoul Bova as Francis and was directed by acclaimed filmmaker Michele Soavi. Captured by the enemy as a soldier and put in prison, he has a life changing experience that inspires him after being freed to abandon his riches and dedicate his life to living the Gospel in simplicity, poverty and charity towards all. This DVD contains the following language options: dubbed in English, Italian with English subtitles, or Spanish subtitles. Also includes a special 16 page Collector's booklet. If you are interested in the story of Saint Francis, you might enjoy this Francis of Assisi movie. Flying To Meet The Sunrise is my new 14 track album. St Francis Prayer is one of the 14 tracks. Listen to Lisa Marie Gabriel music and download DRM-free Lisa Marie Gabriel MP3s on Napster. Here is the music in the easy key of A minor (low voice) for voice and piano. How I came to write and record St Francis Prayer. I learned about Saint Francis in school and the St Francis Prayer was a regular feature in assemblies - in those days religion was not frowned upon. We were told stories about missionaries like Gladys Aylward too. It was a secular school, but the Headmistress liked to give us an uplifting talk each morning! The prayer was a favourite at home too. My mother loves it to this day and so the scene was set that I would one day probably sing my own version. How it came about was strange. I joined Total Fitness to "Fight the Flab" as Terry Wogan would have said. Total Fitness has a swimming pool (swimming used to be my sport) and a hydrotherapy pool. I would go to swim a mile, then soak in the bubbles and steam in the sauna for a while. The night before this, my mother had reminded me that St Francis Prayer was her favourite. I think it had been read out in church perhaps? Anyway it was planted in my subconscious. St Francis medals are very popular. This set includes a pewter St Francis Medal. And why the Golden Dragonfly? 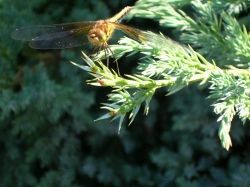 In 2006 I visited Harrison Lake in BC for the first ever time and spotted the dragonfly on a bush. I had no idea that it was even rare, but I did have my digital camera with me and I managed three shots before it left. I felt so privileged to see a dragonfly so close.... It was a natural choice for the image of my song as St Francis would have loved it! This is the Amazon release of my version of St Francis Prayer. I hope you will enjoy listening to it. How long did St Francis Prayer take to write - Inspiration and perspiration in writing a song for St Francis. The melody came to me almost in a flash. That is not all that unusual for me. Sometimes I worry about it, but then I think artists and composers tap into something far greater than our own souls when we create. 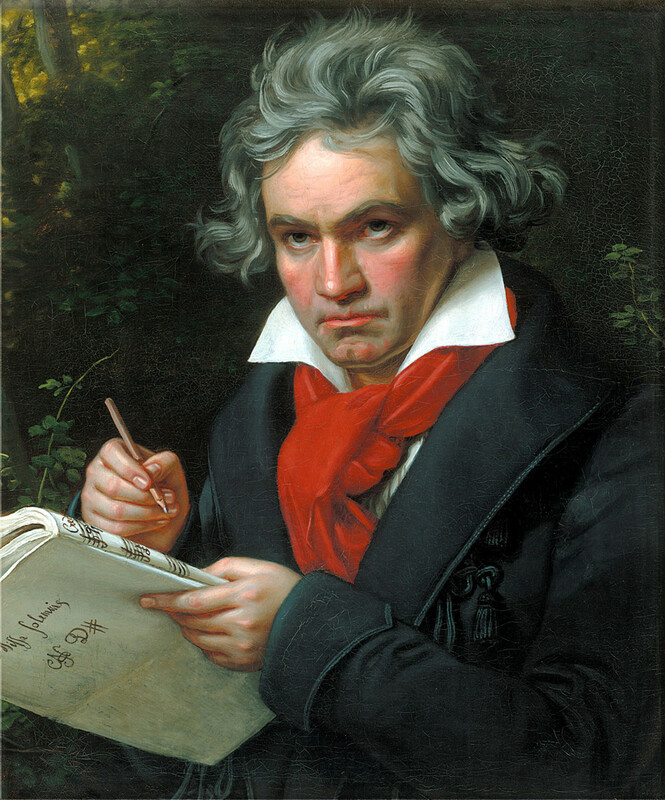 Writing the song down was made easier with Sibelius software, it takes time but the results are good. To produce a choral version of St Francis Prayer for SATB took me about 6 hours from start to finish. Recording the song was actually a lot easier than any other step. I had to find a quiet day when my voice was on form (the hard bit is finding time when you are on form especially when there are so many flu bugs floating around lately). I set up the studio, imported the solo version of the song as a guide and took several takes. When I felt tired and could see no improvement I stopped. The eventual song used the first take. I then exported the vocals back onto the computer. The process took about 2 hours. I had decided I wanted a string and choral backing. If I were a rich star or a famous producer I could have paid session musicians from an orchestra and backing from a professional choir, but I am neither.... So it was back to Sibelius again. I worked and reworked a new arrangement until I was happy with it. I wanted it to be lush without being heavy. It probably took me another 12 hours to get it right in a rough mix. Then I was ready to play with the files. The first step was to extract all the individual parts. These had to be saved as wav files, normalised for volume and then "submixed" The submix groupings were upper strings, lower strings, high voices, medium voices and low voices. To this were added drums, piano, harp and individual violin tracks. This process took maybe another 12 hours. When I had all the submixes ready, I put them into the main mix and panned them to resemble an orchestra "shape" with choir. Drums and vocals were placed in the centre. For more details of this, check out my lens on how to mix vocals successfully. Another three mixes followed - and some independent ears helped when I got tired - finally I thought I could only go downhill from there and I left it alone! I have just added St Francis Prayer to my jango station where you can hear it for free although the Napster link is higher quality! Whether you are looking for the prayer for peace or praying for lost causes or whether you just enjoy prayer cards this is a nice selection. I have included St Anthony because you don't have to be a Catholic for him to find your lost things! A prayer to St Anthony from my Buddhist friend managed to manifest a neighbour carrying a Persian cat who had disappeared for a week. The desperate measure was recommended by a Catholic friend and apparently never fails! What makes St Francis special for you? Or do you have another favourite saint? Or perhaps you would simply like to tell me what you think about the lens, or my song? Here is the place! Thank you for visiting! What is your view of Saint Francis? - Is he your favourite Saint too? I never realised (or had forgotten) that "Make me a channel of the peace", which I used to sing often as a University choral scholar, was the prayer of St Francis. I am not a Christian but these lines move me greatly. I can't open the Amazon link to your setting! I would love to hear it but don't know if it is my connection or the link. I will try again later. Not a Christian, but St. Francis is an inspirational part of my life. His ideas about the underlying principles of compassion to all beings make him one of the great teachers of the world. Came back to bless this really beautiful lens on my top favourite song. 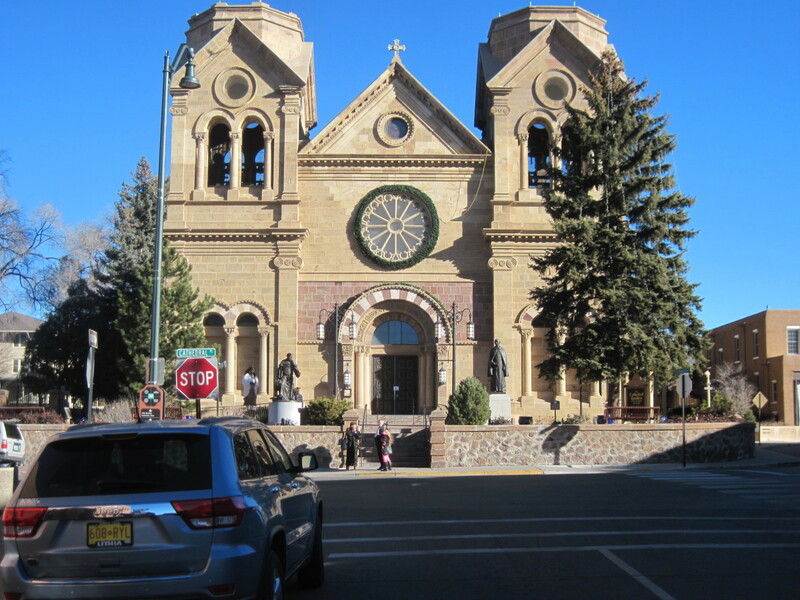 I grew up a Catholic and St Franics was of course, everyone's favorite. My father's 'christian' name was Francis because he was deeply touched by this remarkable man. 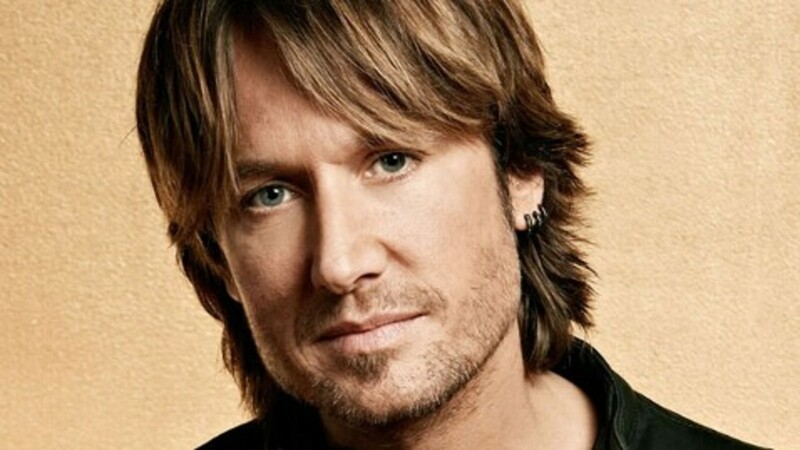 I loved your song. I bought it tonight. I wish you the best luck. You have great talent! What a beautiful lens! Your song gave me goose bumps. Thank you all, I really do appreciate all your comments and encouragement. :) St Francis is my favorite saint and making the song and the lens was a pleasure to do! One of my favorite prayers and the music is wonderful. Thank you. We printed The St Francis Prayer on wallet sized cards for each person who attended our father's funeral in 1989. I still have some of those cards. The cards honor our father and our brother, who died suddenly six months before dad. This is a very beautiful lens. Thank you so much for sharing your talent and wealth of information! St. Francis is my favorite Saint...and your music is beautiful. I have no talent in music, other than appreciating it, which they tell me, is also necessary. I've always loved St. Francis because I love all animals. Thank you for sharing such great talent in your lens. Fantastic lens about the prayer of St. Francis. As I wrote on my tribute to my mother, this was her favorite prayer and it was posted in every room of our house when I was growing up. Wow. I love this lens. I love St. Francis and this beautiful prayer. Thanks for writing this. Great stuff. Love to hear you sing. Thanks so much for making this lens! Francis is my Baptismal Saint, and has meant so much to me over the years. I'm sure that we can/are changing the world with his prayer. The St. Francis prayer is one of my favorites too and I am so glad that you put it to music. Wonderful lens. Blessed. St. Francis is a natural for me given my love of animals and nature. This is such a lovely lens and your recording is so impressive. Blessings to you! St. Francis of Assisi and St. Catherine of Siena are my two favorites, but I'm partial to the patron saint of animals. I would love to visit Assisi someday. Beautiful and inspiring lens! I have always loved St. Francis and his choice of simplicity. I visited Assisi several times to have a feel for the culture. I am glad you put his prayer into music. This is one of my favorite prayers! I went to a Catholic school when I was a child and we had sing this prayer everyday! I wish more and more people would use this prayer and think about its deep meaning! Beautiful lens and a beautiful topic! He's a pretty cool dude! You have written a very beautiful and loving tribute to St. Francis. Thanks for sharing this with everyone. Yes, he is my favorite saint. I cried so hard for him when I was a kid! I thought, how awful that no one could understand his views on unconditional love. Now though, I know he died in the arms of his Beloved, and I rejoice. Love this lens, thanks! 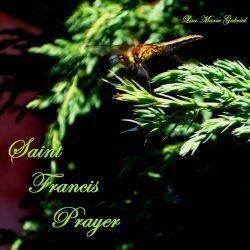 This is a beautiful tribute to St. Francis and his prayer, I love your version of it! Although I'm Protestant I have been inspired by Saint Francis and his prayer has become an important part of my spiritual life. I enjoyed reading your page. St Francis is a favorite of mine. If you run across my about me lens called Going fo the dogs, you'll find a section about halfway down about blaming St. Francis. :) Nice job and I love that golden dragonfly. I don't think I've seen one before. Fabulous lens. Profound and inspiring. Fluttering back to bestow Butterfly Blessings! Saint Francis &amp; this prayer are favorites of mine -- great lens (liked &amp; liked). I visited Assisi twice just to have a sense of St. Francis' life. He is a person I admire so much. Your song is lovely, and, yes, St. Francis is one of my friends, too. I've only just found your site today. I have a lens on St. Francis' prayer, but you get my vote! The Prayer of Saint Francis is one of my favorites too. Love your version to music! I love reading these stories of people like Francis of Assisi and Gladys Aylward. We have read quite a few over the years in our homeschooling. Saint Francis is a favorite of mine. And so are all the animals! Great job on this lens!! I have noticed that dragonflies always appear just before or during some amazing, lovely or important event in my life. I have a very special place in my heart for St. Francis so thank you for this lovely lens. This is such a beautiful read and your song is wonderful. You are so very talented. Blessed. St Francis was indeed an inspirational figure. Very pretty lens. Oh, yes. I LOVE this. It gave me chills. Lovely lens and song, I love all the Zazzle products. The St Francis in Italian card is nice, that is a Raphael painting. I am working on a lens about Raphael right now, I just love Biblical Art. This is a beee-utifully done Lens. Very inspirational, and nicely executed! VERY nice lens and the song is beautiful. I placed this as a favorite. Thank you for sharing. Yes, Saint Francis prayer is wonderful and this is so nicely presented! Lensrolling to my lens on a book about Saint Francis. Nicely presented, I don't believe I have heard of St. Francis' prayer, although in some parts it does sound familiar. Thank you. I've always admired the philosophy of Saint Francis. Your song is truly lovely and a wonderful tribute to the true meaning behind the St. Francis Prayer.